I�m not sure this is the best way to handle every situation�. 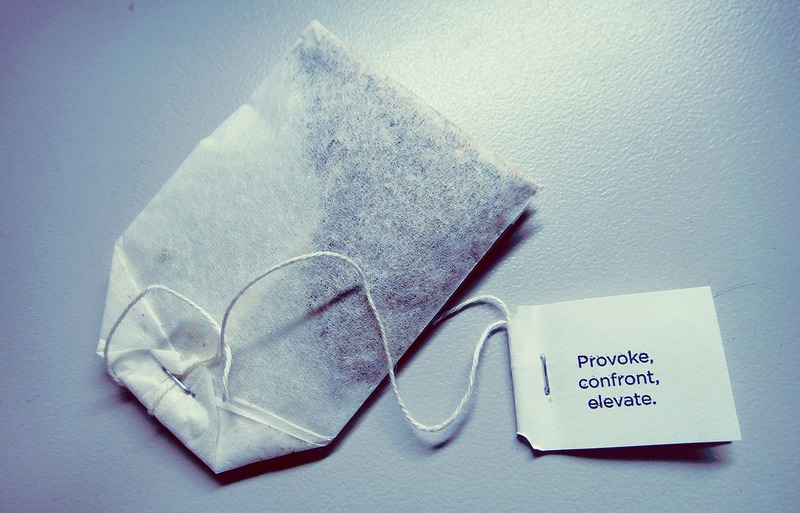 bad advice tea! haha I read the “advice” twice. Tried to make sense of it. Nope. Bad advice! I always think advice in single serving food is cute. The ones in dove chocolates are usually pretty adorable. I don’t know about this teabag though. It’s a rebel.